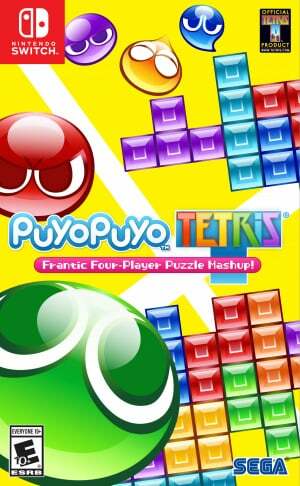 Two puzzle game juggernauts collide as Tetris, one of the largest-selling and recognized brands in gaming history, and Puyo Puyo from SEGA have combined to create a fun-to-play, fast-paced, competitive party game like no other! 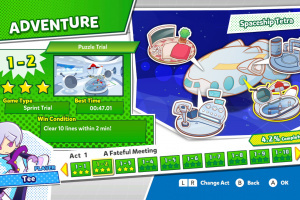 Adventure – Single-player mode offers ten unique acts, each with ten stages featuring different characters from the Puyo Puyo and Tetris universes. 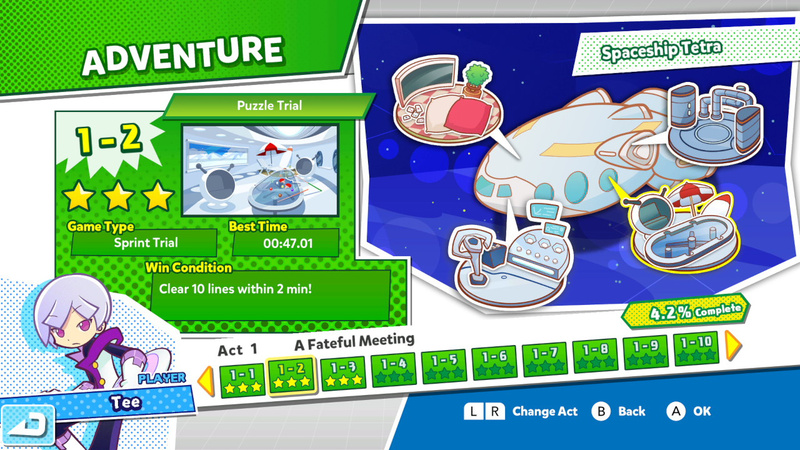 Each stage contains unique challenges players will need to overcome in order to win and move on! 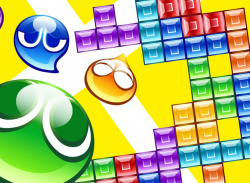 Multiplayer Arcade – For up to four local players, Multiplayer Arcade offers a wealth of variety that will bring out players' competitive nature! 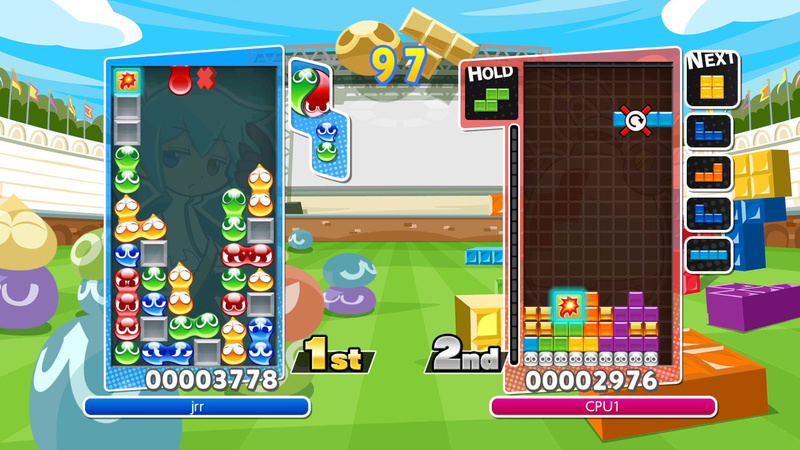 Versus – Players compete head-to-head in either Puyo Puyo or Tetris to fight in the puzzle fight of their life. 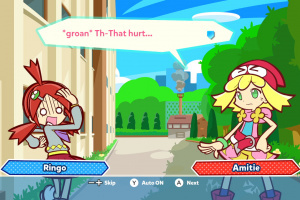 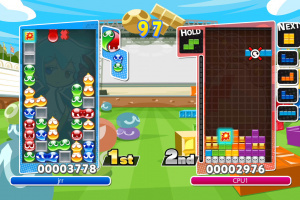 Swap – Players' abilities are put to the ultimate test when they compete on both Puyo Puyo and Tetris boards, which switch back and forth at set intervals. Fusion – A true hybrid game where players compete with Puyos and Tetriminos together on the same board, requiring deft, on-the-fly thinking to become victorious. 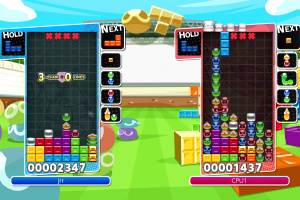 Big Bang – It's a race to the finish as players compete against each other to clear unique challenge boards as quickly as possible to win. 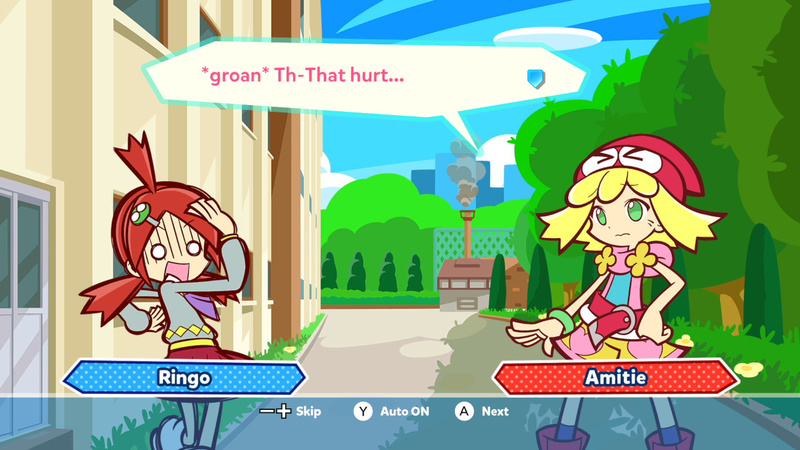 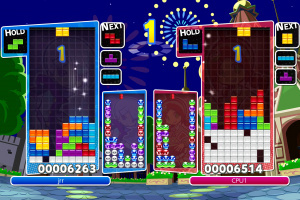 Party – Players compete on Puyo or Tetris boards, but the puzzles feature special items that when activated either help players or harm their opponents. 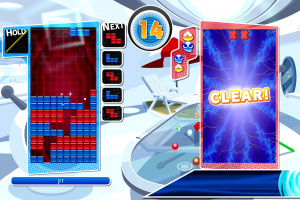 Online – Players can try their puzzle skills on a global scale by playing any of the multiplayer modes with up to four players online, in Puzzle League or Free Play modes. 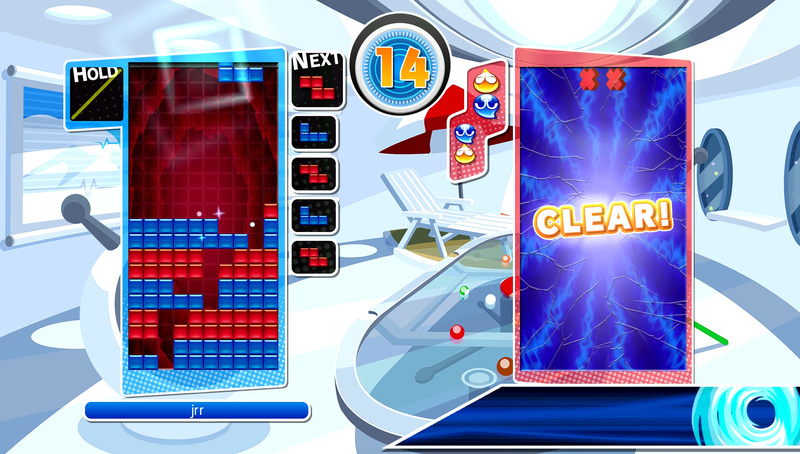 Puzzle League – Increase player rating, earn ranks and aspire to new leagues in this mode for competitive enthusiasts. 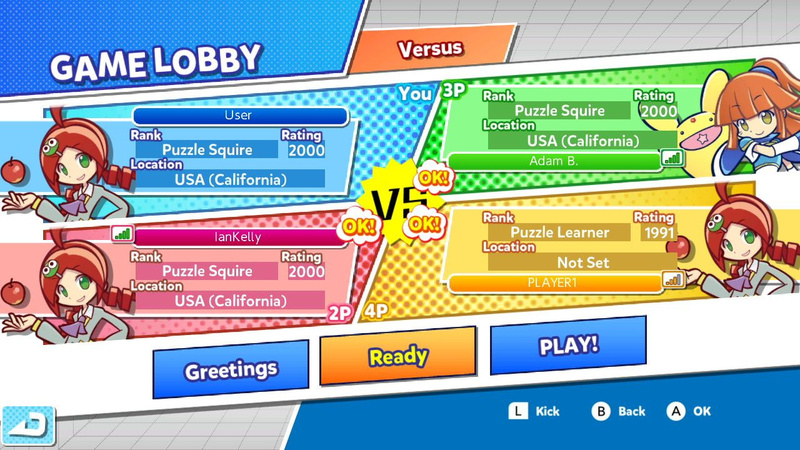 Free Play – A more casual experience where records aren't kept and players can customize matches with unique settings, and invite their friends to play. 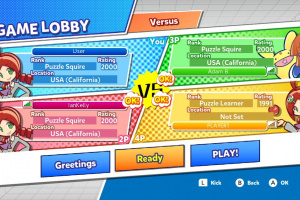 Replays – Players can save and upload any online matches to show off to their friends, or search other players' replays using the tag and filtering system to see how they tackle matches. 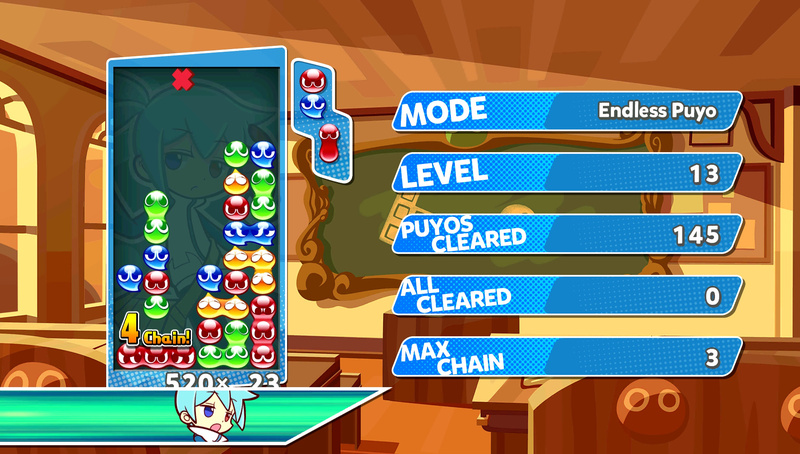 Solo Arcade – Play any of the Multiplayer Arcade modes against the CPU in Battle or Endurance matches, or try the single-player Challenges! 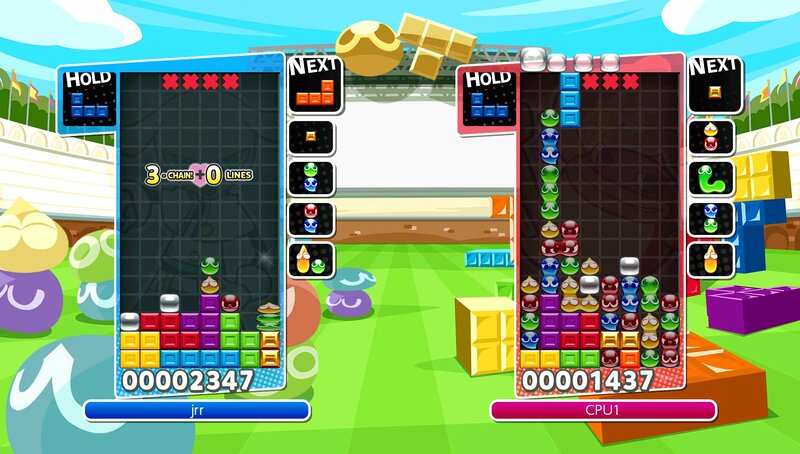 Battle – Substitute human players with 1-3 CPU opponents to fight against simultaneously. 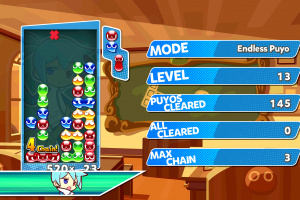 Endurance – Go the distance in a one-on-one gauntlet of never-ending CPU opponents, racking up as many wins as possible. 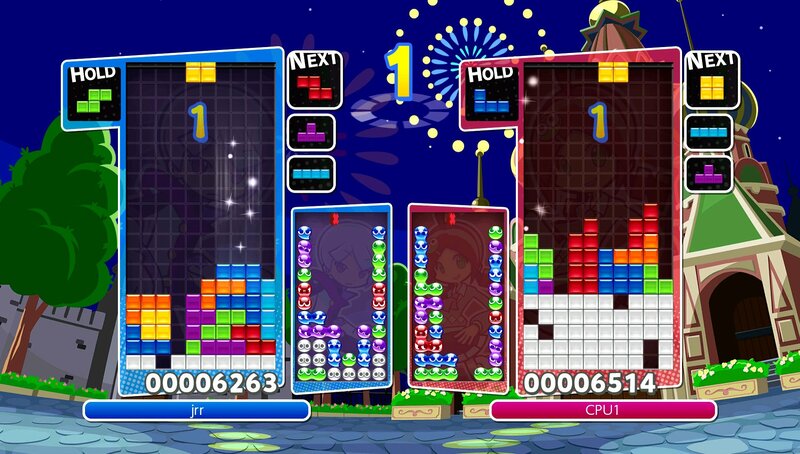 Can you just play Tertris?